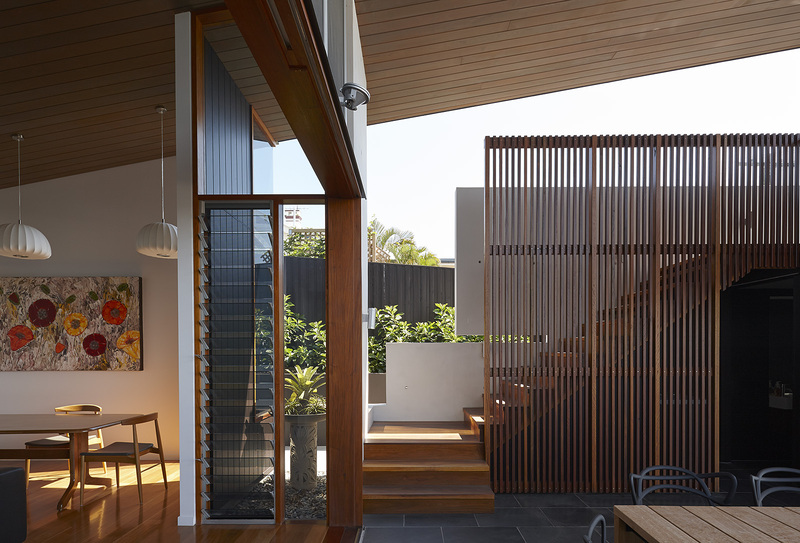 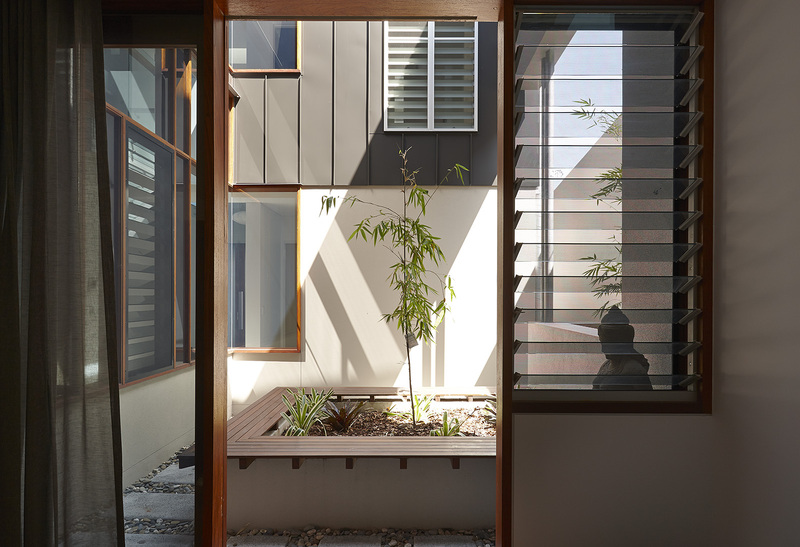 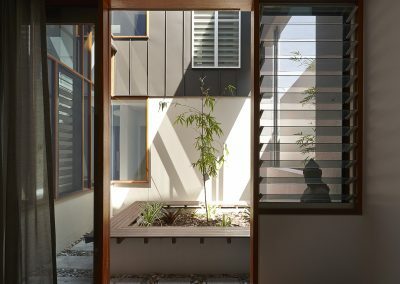 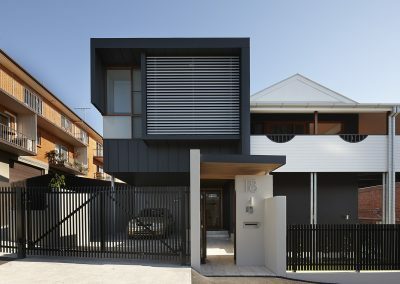 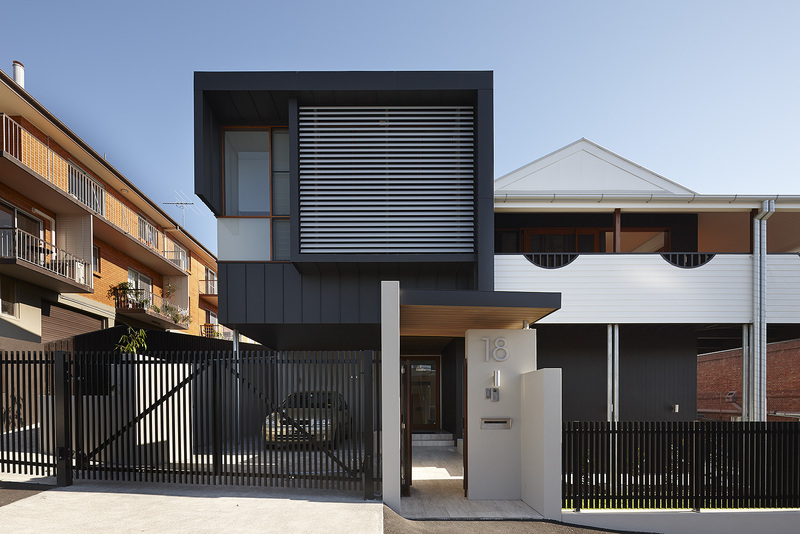 This intriguing design by Shaun Lockyer Architects involves the amalgamation of five ‘boarding rooms’ in a pre-war house at Newstead into a contemporary home for a large family. 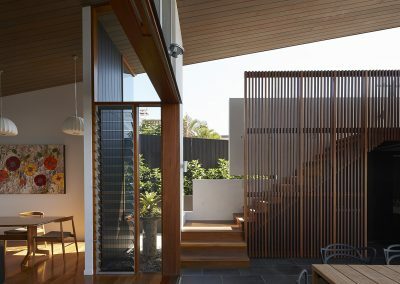 The architecture is an overt statement about the possibilities of modern architecture juxtaposed with one hundred years of history. 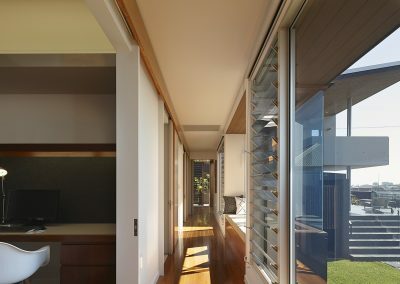 Breezway Louvre Windows have been cleverly incorporated into the design due to their flexibility in size and shape that allows them to be strategically placed into almost any space. 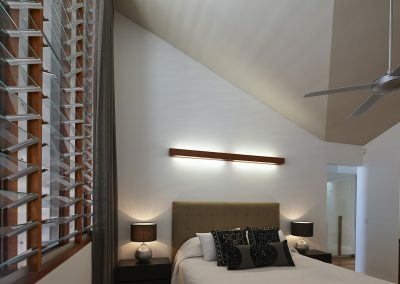 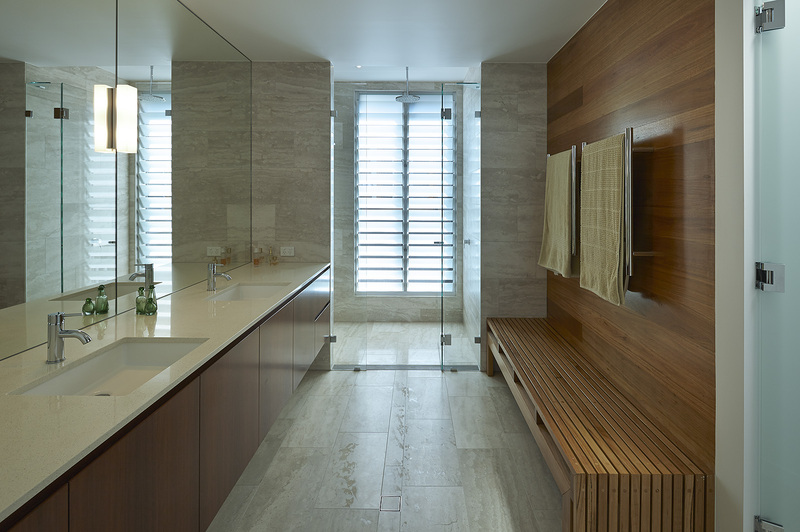 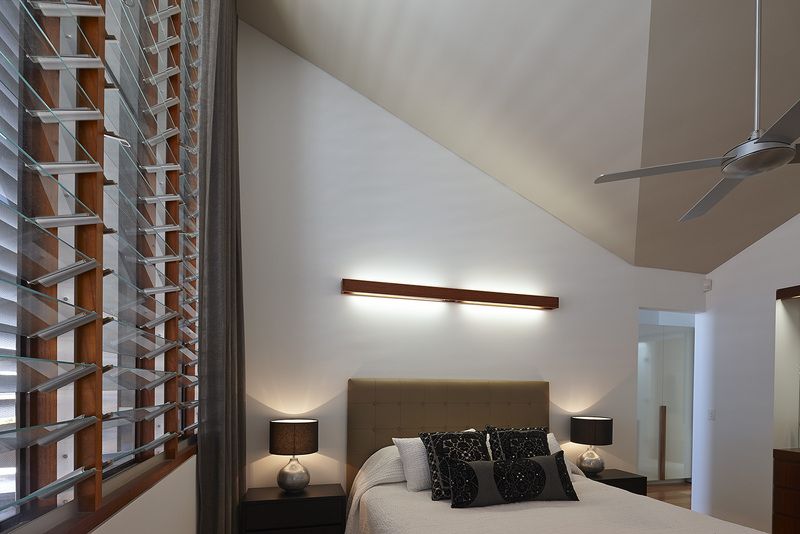 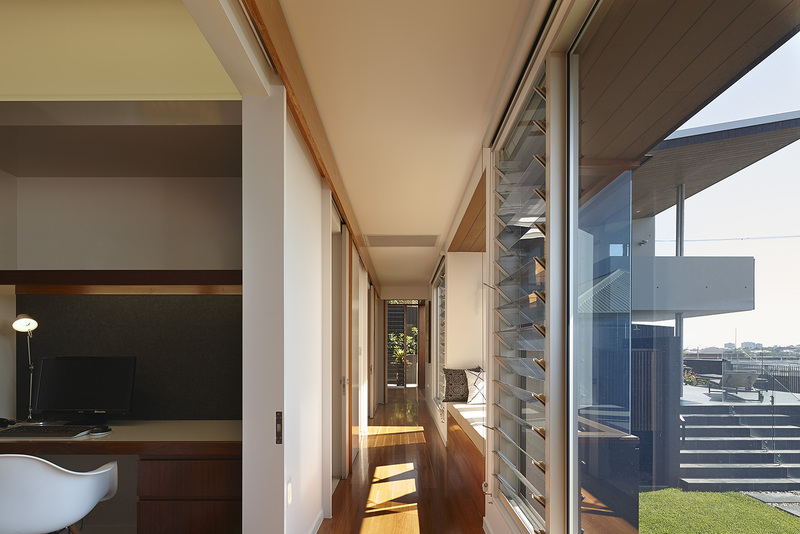 Their stylish design compliments other materials used within the home and reduces the need for air conditioning as they open almost horizontally to maximise natural ventilation.